Presentation of UCAV Unmanned Combat Air Vehicle nEUROn to the Government representatives. 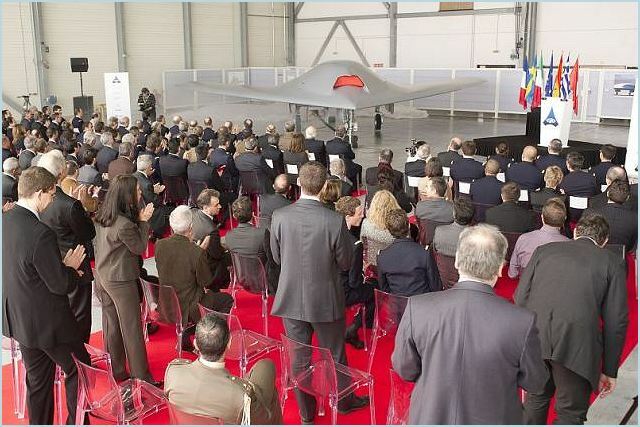 Istres, France, January 20th, 2012 - The nEUROn, European UCAV technology demonstrator, has been officially presented to the representatives of the six participating countries by Mr. Charles Edelstenne, Chairman & CEO of Dassault Aviation. Mr. Serge Dassault, Honorary Chairman of the company, as well as the representatives of the nEUROn industrial team - Saab (Sweden), Alenia Aermacchi (Italy), EADS-CASA (Spain), HAI (Greece) and RUAG (Switzerland) - attended this ceremony. This presentation is a major milestone after five years of design, development, production, assembly and the first static tests of the nEUROn demonstrator. The first engine tests will be performed very soon, aiming at a first flight mid-2012. Afterwards, a complete sequence of test flights will take place during two years in France, Sweden and Italy. These tests will address flight qualities, stealthiness, air-to-ground weapon firing from an internal bay, integration into a C4i environment as well as the insertion of uninhabited platform in airspace. 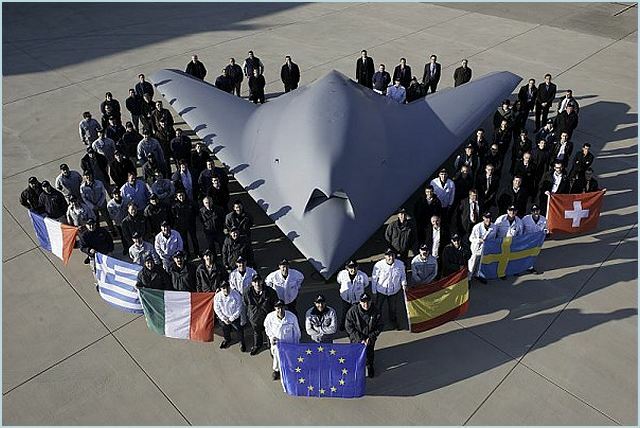 The National Armament Director - or their representatives - of the six participating countries (France, Sweden, Italy, Spain, Greece and Switzerland) have been able to see for the first time this demonstrator that represents a triple "first" for the aerospace industries of European countries: first stealth combat aircraft, first UCAV developed in co-operation and first combat aircraft entirely designed and developed on a virtual plateau. - to validate an innovative co-operation model, that optimizes the respective know-hows of the participating industries under the leadership of a single recognized and accepted main contractor. During a brief speech, Mr. Charles Edelstenne said that it is now up to the Governments to think about a follow-up to nEUROn, in order to use at the best the experience gained during five years of development work.